Nancy Harvey Steorts has had a distinguished career in business and trade, political service, real estate, academia and the media. As an international consultant, media commentator, speaker and author, she remains committed to the concept of quality and safety for the consumer. Her new highly recommended book, Safe Living in a Dangerous World, was released by Capital Books, Inc. and is already in its third printing. Her 3rd book, Your Home Safe Home, was launched at an international convention of Realogy Corp, the corporate partner of Century 21, Coldwell Banker, ERA, Better Homes and Gardens, and Sotheby's, and was sited by the President and CEO, of the Realogy Franchise Group, as "a must read for every home owner and renter. President Ronald Reagan appointed Ms. Steorts Chairman of the U.S. Consumer Product Safety Commission. and the United States Senate unanimously approved her nomination. Prior to that she was a consultant to the Director of the U.S, Office on Consumer Affairs at the White House and served under the President Nixon and President Ford Administrations as the Special Assistant for Consumer Affairs to the Secretary of Agriculture. After her government service, she became President of the prestigious Dallas Citizens Council - an organization of Chief Executive Officers based in Dallas, Texas. As President and CEO of Nancy Harvey Steorts International, she works with many diversified clients in the United States and throughout the world. She was acclaimed by the Chairman of the United States Consumer Product Safety Commission for having executed the largest and most effective consumer product safety recall in the history of the United States government. This recall involved the successful recall of 150 million pieces of jewelry, which contained lead and were being sold in over 7,000 vending machines throughout the United States. In addition to her work in product safety, she also serves as a National Spokesperson for clients. She has been widely recognized in business and government circles for her accomplishments. Ms. Steorts was named One of the Best Public Servants by the Gallagher Report and is the recipient of the George P. Arents Medal for Excellence in Government, conferred by her alma mater, Syracuse University. This is the highest award given to alumnae. She served on the Board of Overseers for the Malcolm Baldridge Award and the Federal Reserve National Consumer Advisory Council. She has served on the Executive Committee and National Board of Directors of the American National Standards Institute and served as Chairman of the American National Standards Institute Consumer Interest Council. She was the International Chairman of the ISO International Conference for COPOLCO, which was held for the first time in Washington, D.C.and was attended by 40 countries. Nancy Steorts has served on several corporate and community boards, including the National Board of Directors of the Council of Better Business Bureaus, Inc. and the Medical College of Pennsylvania; and the Board of Directors at the University of Texas at Dallas Management School, the Women's Institute of American University, the College of Human Development of Syracuse University and the Department of Economics of Southern Methodist University and as a member of the Syracuse University National Alumnae Board. She is also a member of Syracuse University's Whitman School of Management Corporate Advisory Board. and was recently appointed as a member of the Board of Directors of the Public Members Association of the Foreign Service. She was also appointed to be a member of the Board of Directors of the Homeland Security Committee of the National Industrial Defense Industrial Association, where she serves on the National Convention committee. She is an active member of Executive Women in Government, (an organization of the top women in government). where, she served as President. . Following her pursuit of business and her interest in seeing the implementation at the local level of many of her national programs which focused on improving the safety of today's homes, she was a multi-million dollar Realtor with Long & Foster Realtors. She is a member of the National Association of Realtors, the Virginia Board of Realtors, and the Northern Virginia Association of Realtors. She serves on the Education Committee and the Annual Convention Committee for the NVAR. and, has served as a Keynote Speaker for their Seminars.. She also serves on the Board of the International Committee, and the recently appointed to the Green Task Force of NVAR. 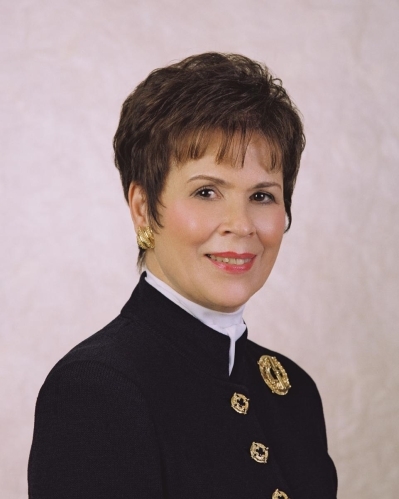 She has been honored consistently as a Top Producer in Real Estate in the Washington Metropolitan Area, as well as a multi-million dollar producer for the Northern Virginia Association of Realtors and has been honored with several National Sales Awards. She is now associated with Long and Foster Realtors, where she continues her very successful real estate practice. and where she is now developing a national and international practice. In addition to her honors, she has also received the GRI Designation from the Graduate Realtors Institute, the Green Designation for Real Estate, the Transnational Referral Certification and the ABR and has just been awarded the Associate Broker's Designation for the State of Virginia. and the State of Maryland She is also licensed in the District of Columbia. She recently received the prestigious Margaret Dana Award from the American Society of Testing Materials in recognition of her outstanding contributions to the advancement of voluntary standards for consumer products with the result of increased safety and well being for all consumers. Ms. Steorts was a Distinguished Lecturer of the Strom Thurmond Institute of Government and the Public Affairs at Clemson University. In October 1989, Clemson officially accepted the donation of the Nancy Harvey Steorts Papers, which now makes them available to researchers. Regency - spacious 2 bedroom 2 bath condo, 1341 sq. feet, Double balcony over looking beautiful redone patio and pools. Large open living room and dining room perfect for entertaining. 2 garage spaces, renovated kitchen with granite and stainless steel. Renovated bathrooms with granite. Walking distance to Metro. Fantastic views of Tyson's. Rent includes all utilities and indoor garage spaces. Must See!